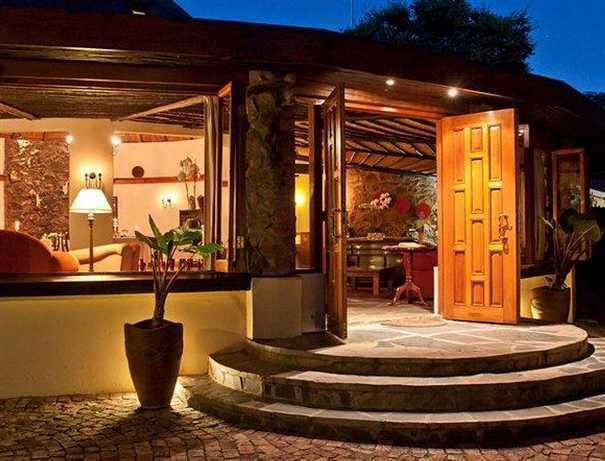 Accommodation in Johannesburg: Idwala Boutique Guest House. You are here: Home / Gauteng / Johannesburg / Accommodation in Johannesburg: Idwala Boutique Guest House. Idwala Boutique Guest House was originally built over a hundred years ago as a farmhouse, and has been skillfully transformed into a luxurious guest house offering a quiet retreat in a relaxed atmosphere. Warm, professional hospitality and tasteful African elegance in spacious thatched rooms all with extra-length king sized beds, fine crisp linen, flat screen DSTV. Rooms overlook peaceful and landscaped gardens, with plunge pool. Sumptuous breakfasts in the sunny dining room, with dinner a culinary delight. State-of-the-art conference venue for 18 delegates. Easy access to Sandton and trendy restaurants of Parkhurst and Greenside. Secure parking. Health and beauty treatments offered. 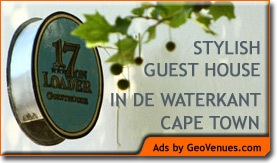 TGCSA 5-Star Guest House | German, Spanish, Portuguese and French spoken | WiFi | Conferences | Secure parking.